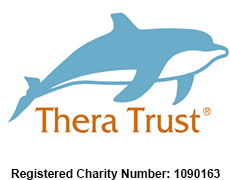 Thera Trust is a registered charity that leads a number of subsidiary companies based around the UK. The subsidiaries are known as Thera Group and together we support adults with a learning disability at home, at work, in the local community and for short breaks (otherwise known as respite). Thera Group has a vision: that people with a learning disability can be leaders in society and should be in control of their own lives. We believe that people should be able to design the kind of support they want to match their individual needs. People who are already supported by Thera have the opportunity of becoming company members, which allows them to have a greater involvement in the running of their Thera company. Thera Trust have a lot of experience supporting people with a learning disability and currently support over 950 people in 20 local authority areas in England and Scotland. Thera companies are split into regional subsidiaries, so that support remains locally managed. Thera is unique in that it employs people with a learning disability at director level and who have equal responsibility for the running of the organisation to ensure they remained focused on the needs of the people they support. If you would like to help raise funds for Thera Trust whilst at the same time reducing the amount of waste consigned to landfill please use the contact us below. If your items are eligible, please call us on 0333 323 7677 or fill in the contact us form below and we will ensure that your items are recycled on behalf of your chosen charity. Once your free collection is arranged we will send you packing and further instruction. All proceeds go to Thera Trust.